Super-efficient custom doors built in Portland by contractor Hammer and Hand help make high performance building, and the Passive House building energy standard, native to the United States. "Homegrown high performance doors like the one at Karuna represent an important step toward 'components independence' for the US Passive House industry," said Sam Hagerman, co-owner of contractor Hammer and Hand. Portland/Seattle builder Hammer and Hand announced today the production of high performance energy efficient custom doors, designed and built in Southeast Portland, that meet the rigorous energy requirements of the Passive House building standard. Passive House, the world's most demanding building energy standard, is quickly gaining ground in the US building sector today, but many of the building components used in American Passive House projects are imported from Europe. 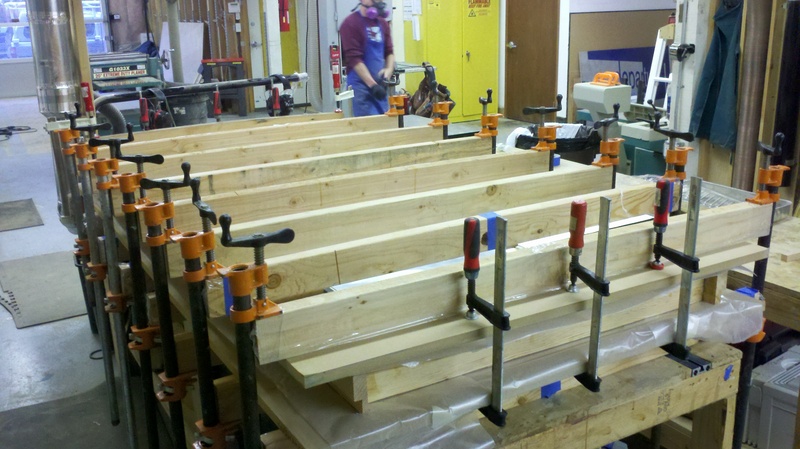 Hammer and Hand's custom Passive House doors are a step toward making Passive House native to the US. "While the high performance building movement owes a debt of gratitude to European pioneers," said Sam Hagerman, co-owner of Hammer and Hand, "high performance building will really take off here when the movement's materials, components, and certifications become native to the US." This development will have important financial and carbon emissions implications. While the ongoing energy savings of today's European-manufactured high performance building components often outweigh the carbon emissions impact of shipping those components across the Atlantic, comparable US-made components would avoid that environmental cost altogether. Hammer and Hand's inaugural custom Passive House door was installed last week at the Karuna House near Newberg, Oregon. That project, designed by Portland's Holst Architecture, is a national case study of green building certifications, pursuing PHIUS+ Passive House, Minergie-P-ECO, LEED for Homes Platinum, and net-zero energy designations. To meet the project's sustainability goals, Hammer and Hand built the door from 100% locally-sourced Forest Stewardship Council-certified wood. Superinsulation, precision weather stripping, and advanced hardware enable the door to reach the thermal performance required by Passive House. "Homegrown high performance doors like the one at Karuna represent an important step toward 'components independence' for the US Passive House industry," said Hagerman. 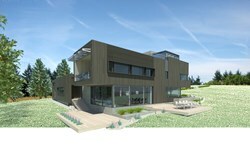 More about the high performance door at the Karuna House can be found online at http://hammerandhand.com/passive-house-doors. 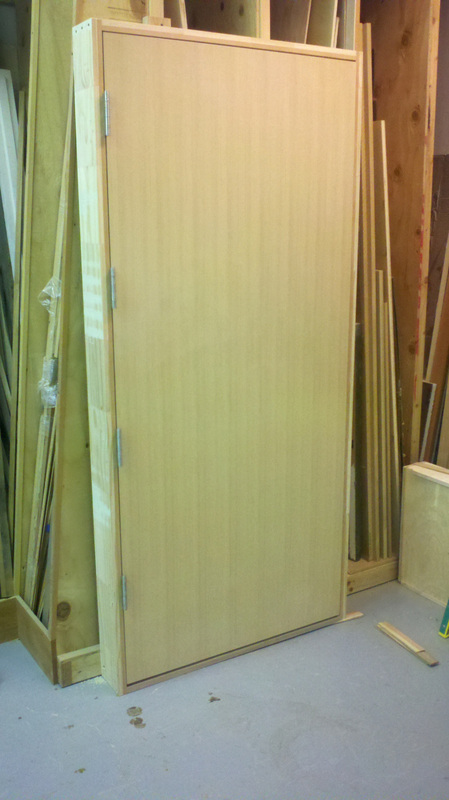 Hammer and Hand's first Passive House custom door. CVG fir graces the face of the door. 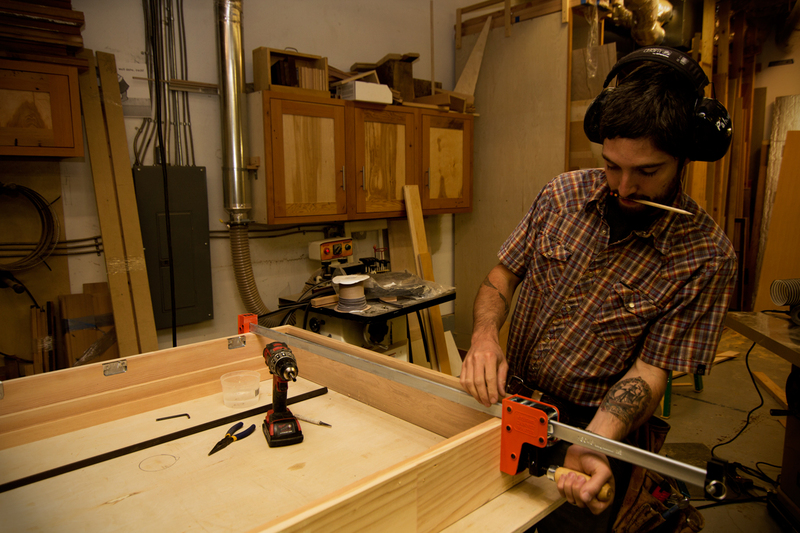 Hammer and Hand woodshop manager Dan Palmer building custom millwork at the company's southeast Portland headquarters. Two 1-inch layers of EPS foam insulation form the thermal core of the high performance door. 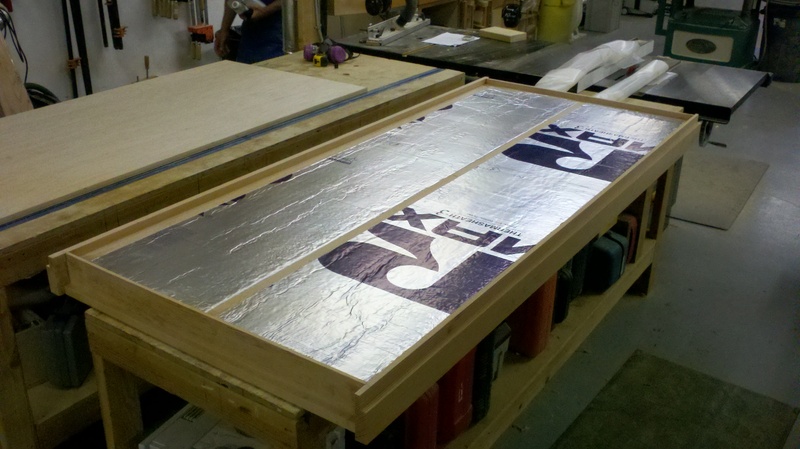 One step of the lamination process for the Passive House custom door. 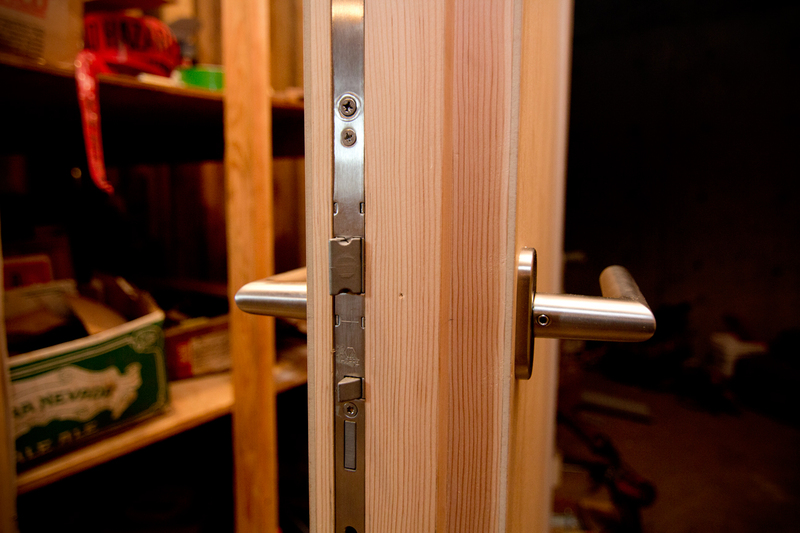 Detail of the door's heft and advanced hardware.